Don’t you hate it when the unexpected pipe breaks down you’re left with a flooded bathroom in the middle of the night? We understand the frustration that you might have, and we’ll do our absolute best to service you in any way that we possibly can. Nothing is worse than a fully booked out plumber who can only attend to your during business hours, as this will continue to drain you of your resources and property damage, depending on how bad the flooding gets. Give us a call today! We can arrive at your location in our mobile workshop, fully stocked to handle all situations. We focus on stopping the bleeding first by solving high priority issues – it is our imperative to get you back on your feet as quickly as possible.. We can always come back and patch the non urgent matters up later. Do you have a job that needs to be taken care of immediately? If so, call us right away. We will be there for you all the time and will take care of you even if it is in the middle of the night. 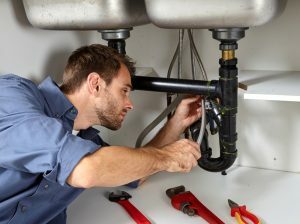 We are available around Geelong and all metropolitan areas, and will attend to any sort of plumbing or gas-fitting requirement as soon as we possibly can. Although it can be an unpleasant experience, we’d love to hear from you soon.